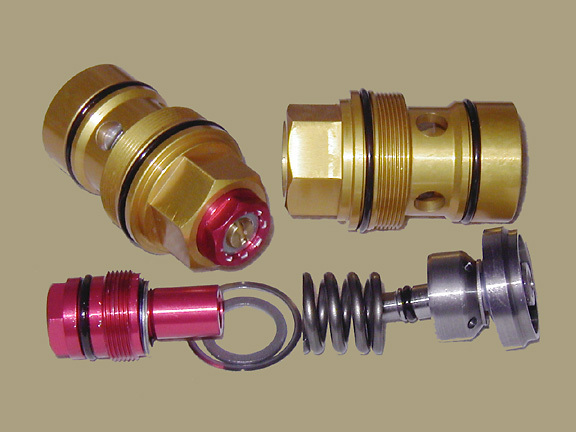 Ultra Adjusters are high/low compression adjusters for Showa and KYB shocks and forks. They are completely tunable for all track conditions and are plush, yet they will not bottom even off skyscraper jumps. The shock Ultra Adjuster is a high/low compression adjuster that replaces the stock low speed compression adjuster. To prevent bottoming in a stock shock, the clicker must be turned to a harder setting. However, this also makes it harsh on small bumps and creates traction loss. This type of adjustment is at best a compromise. The factories have realized this for years and, until now, an independent dual adjuster or high/low speed compression adjuster has only been available on works shocks. The shock Ultra Adjuster eliminates compromise with its independent high and low speed adjusters. It allows the rider to dial in plush suspension while maintaining bottoming resistance. Shock Ultra Adjusters replace stock 30, 24 and 20 mm low speed adjusters in most Showa and Kayaba shocks going back to 1988. 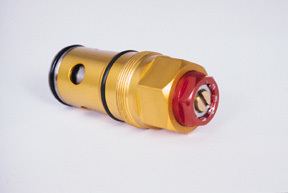 They are CNC machined out of 6061-T6 aluminum and are gold and red anodized. It is recommended that installation be done by a qualified suspension technician. Shock Ultra Adjusters housings available for 2003-05 KX125/250/250F RM-Z250/450 shocks converting them to High / Low adjusters. 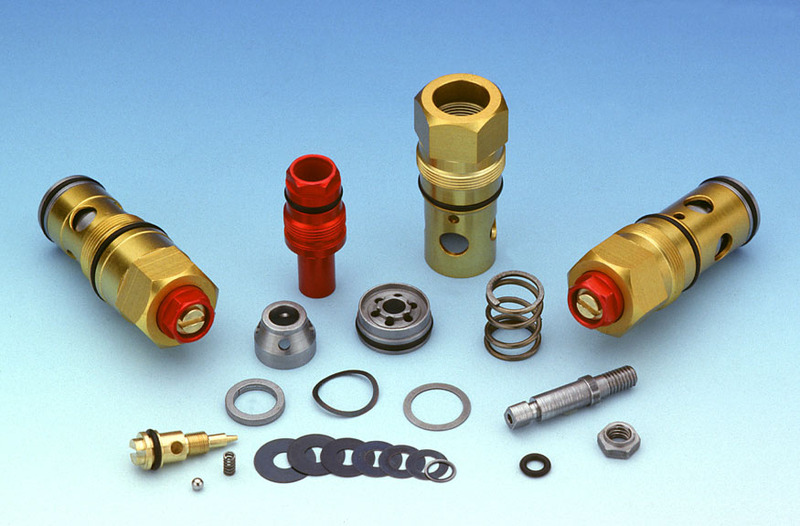 Also available is a modification to the stock 1997-99 CR250 high/low speed adjuster which will make the adjustments independent and more sensitive by replacing the internals with the ulta adjuster components.